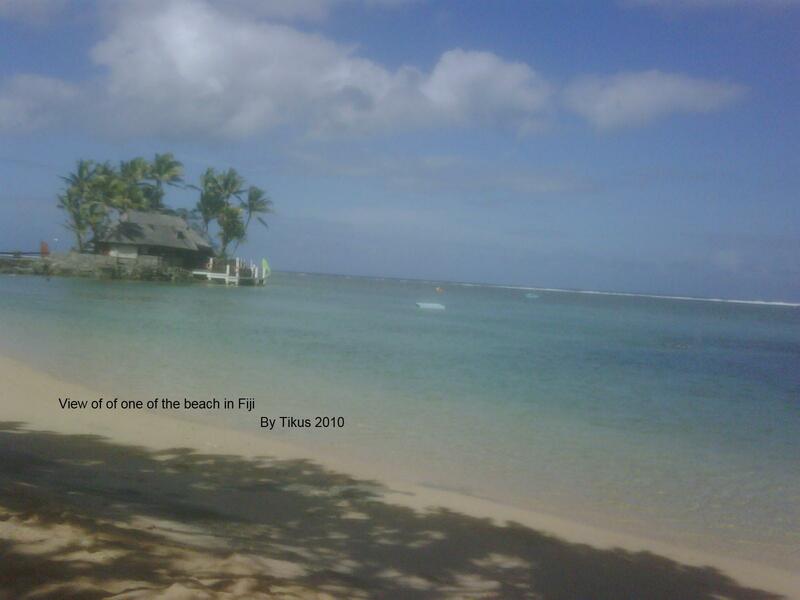 This is the 3rd part of my article on Fiji. 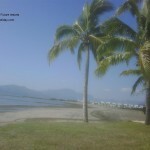 After staying in Denarau Island for a week, I went across to the Coral Coast of Fiji. I stayed at the Warwick for another week before heading home. Fiji is renowned as “The Soft Coral Capital of the World” and is also home to the “Great Astrolabe Reef”. This sentence in reference to the main island of Fiji obviously means the coral coast and not Denarau Island. Apparently you can experience shark feeding or diving and swim with the giant mantas. I can feel my goose bumps just thinking about that experience even though I dare not do that. Fiji moderate water temperature makes for year-round diving and the visibility is a photographers dream. I certainly can vouch for that. I could have gone for the shore dive, night dive, resort dive, wreck dive or cave dive. I choose just to do the resort dive. I feel safer as I am not a good swimmer at all. They do tell you that life jacket is available but having a phobia of the deep sea does not help in any diving situation. My stay at the Warwick comes with mixed feelings. I really enjoyed the fact that you can just walk into t he sea not more that half a meter and you can see beautiful fishes and corals. I never had that experience before in my whole life, ie able to snorkel so close to the beach. It is perfect for me as a poor swimmer. Off course, if I were to swim out for more that 5 meter from the shore, I would see even more beautiful/colourful and bigger fishes (I was told by some kids!) I can understand when they say that the underwater scenery is spectacular and some of the finest, and most accessible, dives in the Pacific can be found here. Fiji reputation as the ‘soft coral capital of the world’ is well justified and I am certainly glad I came to Fiji coral coast. 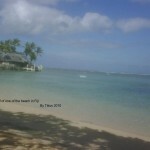 The weather is not as good as in Denarau Island where I had the sun 100% of my time in Denarau. In the Coral Coast, it drizzles almost everyday I was there. The afternoon slight drizzle however only lasted approx an hour. That is not too bad if you are already wet and it does cool you down a bit. Food in the Warwick is much better suited to me as they have normal food as well as restaurant food, still Australian prices but more options. The meals offered ranged from buffet to fantastic Japanese or Italian restaurant for romantic dinners. Choices are great compared to when I was at the Hilton. Lucky for me, whilst I was at the Hilton, it took me only 20 minutes to walk to Port Denarau to have a good meal (not resort meal). Breakfast at the Warwick is just average compared to the Hilton. Services at the Warwick are not as good as the Hilton, even though both are 5 stars. Warwick services should be just 4 stars, in my opinion. 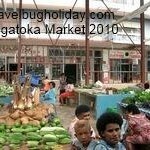 Maybe I am expecting too much or maybe it is just relax Fijian culture/time. For instance my own experience at the Warwick Hotel relates to pool towels. Pool towels are supposed to be in the room for you. When I didn’t find any in my room, I rang housekeeping to request for one so that I can get to the pool straightaway. I waited for 1 hour… the pool towel didn’t arrive. I considered myself quite law abiding so I choose not to use the room (white) towel but to wait patiently. I rang them up again and they said “it is coming”. I waited for another half hour and I rang housekeeping again. I was told that she will check with the maid and call me back. Half hour later, nothing happen. I had to ring again, feeling really frustrated now….This time they told me that there are none available as they are all in the ‘wash’ and I am to use the room towel. I wish they had just told me that no beach towels are available on my first request instead of trying to avoid telling me the truth. I feel that maybe it is not in their culture to be negative but trying to accommodate. However, I feel that in a service industry, this kind of cultural attitude doesn’t really work. Another experience ( and I am not the only one based on the no of people visiting the reception with same problem), my key card to the room kept expiring and I have to keep going back to the reception to get that sorted out. On the first day, I had to walk to the reception 4 times. That is totally frustrating. I tend to feel that you have to pay for everything at the Warwick even games for the adults. As one guest puts it, Warwick motto could be “Show me your money”. Anyway, I am here to relax and I did just that and more. I snorkel at the beach and did some souvenirs shopping just a few steps away from the main area of the hotel, along the beach. There are some enterprising Fijians who sells soft drink, beach clothes, jewellery, massage, hair braiding at reasonable prices. Make sure you get your cheaper soft drinks from the ‘hawkers’ and put in your room fridge. That should save you some money to enable you to buy souvenirs for families back home! You can cruise by schooner or yacht to the different islands or zoom along the mangrove- lined tidal corridors in a jet-boat. Alternatively, take the Bilibili rafting trip (rafts made from bamboo) along the streams and rivers – a uniquely Fijian experience such as the Sigatoka River Safari where you travel along Fiji’s majestic Sigatoka River in a purpose-built jetboat and visit an authentic Fijian village. 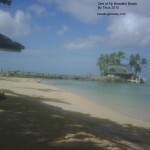 Fiji is well known for its fine reef breaks. The famous ‘Cloudbreak’ (6m/18ft wave) is found offshore at Tavarua. 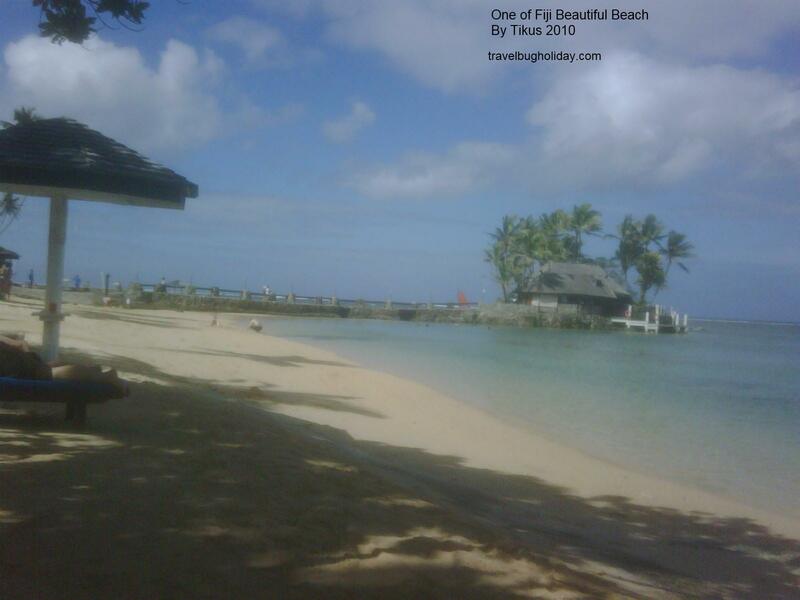 Most of the well-known spots are off the main island of Fiji and can only be reached by boat. 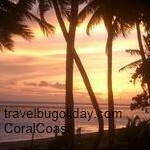 Frigates Pass is the most famous surf spot accessible from the Coral Coast. The Waidroka Bay Resort provides boat transfers to Frigates Pass, as well as the other reef breaks along this stretch of coast. Sigatoka has a beach break for less experienced surfers. Water sports are on offer everywhere from sailing, windsurfing, waterskiing, canoeing, kayaking and parasailing are all popular activities across the islands. Some are offered at hotels for free for first half hour eg. The Warwick. I even learn how to dive for free at the Warwick, well I ws in th swimming pool. Check out my snapshot. 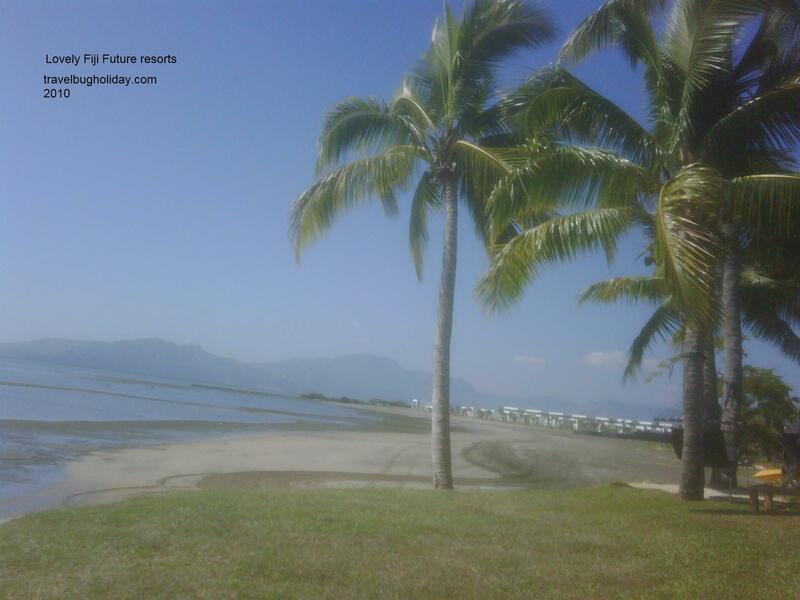 Fiji has a network of marked nature trails, such as the Lavena Coastal Walk or Vidawa Forest Walk. You can also swim in numerous waterfalls found in the forest, coastal parks and reserves. 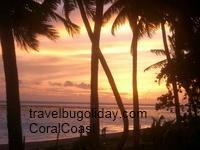 One resort, the Narviti along the Coral Coast offers such outing. A fellow traveller recommended this trip (including lunch and swim at the waterfall) He also checked out the Kula Eco Park Fiji, located opposite the Outrigger on the Lagoon Fiji and he says the park houses a collection of native animals and birds and he visited the Biausevu waterfalls/Naihehe Caves as well. He said it is worth it, being an adventurous kind of guy. This can be interesting if you are into animals. You can look out for fruit bats such as the Fijian monkey face bat, parrots and marine turtles. You should also check out the acres of orchids and flowering plants in the Garden of the Sleeping Giant at the foot of the Sabeto Mountains. If you are into history, the places and its people it might be worthwhile to check out the Sigatoka Sand Dunes off the main Queens Highway on Viti Levu. The Sigatoka Sand Dune Information Centre is the starting point for a walk to across the dunes to the open sea. Remains of the ancient Lapita people are still being uncovered in the dunes. The Kalevu South Pacific Cultural Centreopposite Shangri-La’s Fijian Resort gives an insight into traditional Fijian housing, lifestyle and history. Momi Heritage Gun Sites was a key strategic link between the USA and Australia during World War II, when Japanese forces were active in the Pacific. 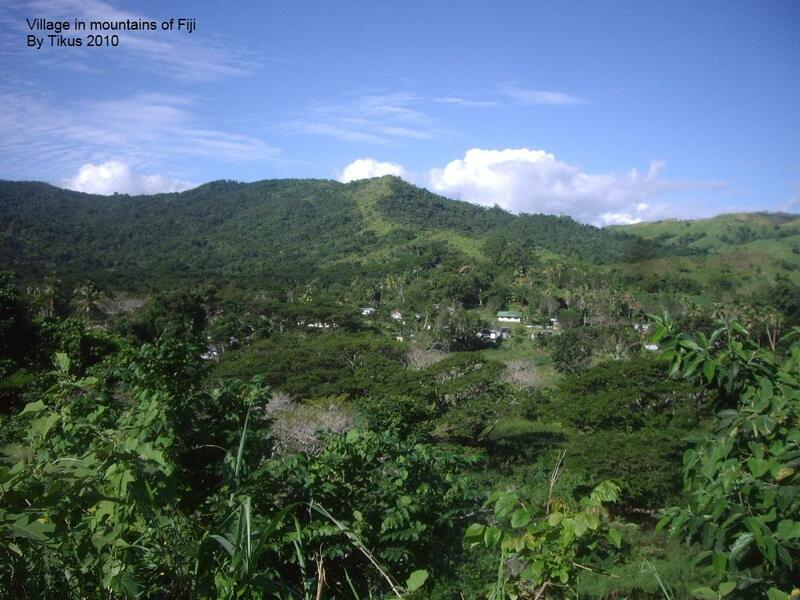 The Battery is in the care of the National Trust of Fiji Islands. 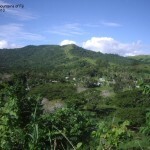 The Tavuni Hill Fort site lies across the river from Sigatoka, on a bluff overlooking the area, and was established by the Tongans in the 18th century. There is an interpretive centre and walkways. The Coral Coast Scenic Railway ie the Natadola Train departs daily from outside the Fijian Resort and is the only passenger train in Fiji. The restored sugar cane engine travels along the coast to the white sands of Natadola Beach for lunch, and returns. There are nine-hole courses at The Naviti Resort and Shangri-La’s Fijian Resort, as well as a nine-hole putting course at the Warwick Fiji. Had a back injury so didn’t check out the golf course. Pity. 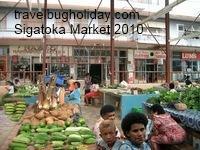 Most hotels offer bus/coach trips to the town of Suva. Suva, a town rich in colonial past is more than just the capital of the Fijian Islands. Check out the President’s residence, Albert Park, Museum and Thurston Botanical Gardensva. A beautiful harbor city, Suva is built on a peninsula reaching out in the sea. You can also us the local bus. The Sunbeam Bus Transport company provide each hotel with their timetable (departure/arrival time from each hotel and even to the airport) Looking at the time table, if I were to go to the airport from Warwick hotel, it would take me 2 ½ hours. Not too bad considering they have to stop at various hotels. It took me 1 ½ hours to get from Warwick to airport by coach transfer.